Hi there! My name is Elizabeth and I’m the hands, heart and brain behind EKhandcrafts. My mom taught me how to make a simple granny square blanket one afternoon when I was in high school and since then, crocheting has been my favorite method of managing anxiety and stress. I eventually taught myself how to knit as well, and use the two crafts interchangeably depending on what I’m designing. I also really enjoy weaving, print making, and painting––creative passions that are reflected in my shop’s inventory when I’m feeling especially inspired. I love working with natural fibers like wool, alpaca, cotton, etc. but I also love the unfussy wear and washability of synthetics like quality acrylic and polyester, so I work with both. I enjoy challenging custom orders and wholesale orders. Please feel free to reach out with your ideas. Last summer my husband and I moved to just outside of Pheonix, Arizona from my hometown Portland, Oregon and adopted a sweet little pup named Stevie who makes appearances on my Instagram and Facebook pages. 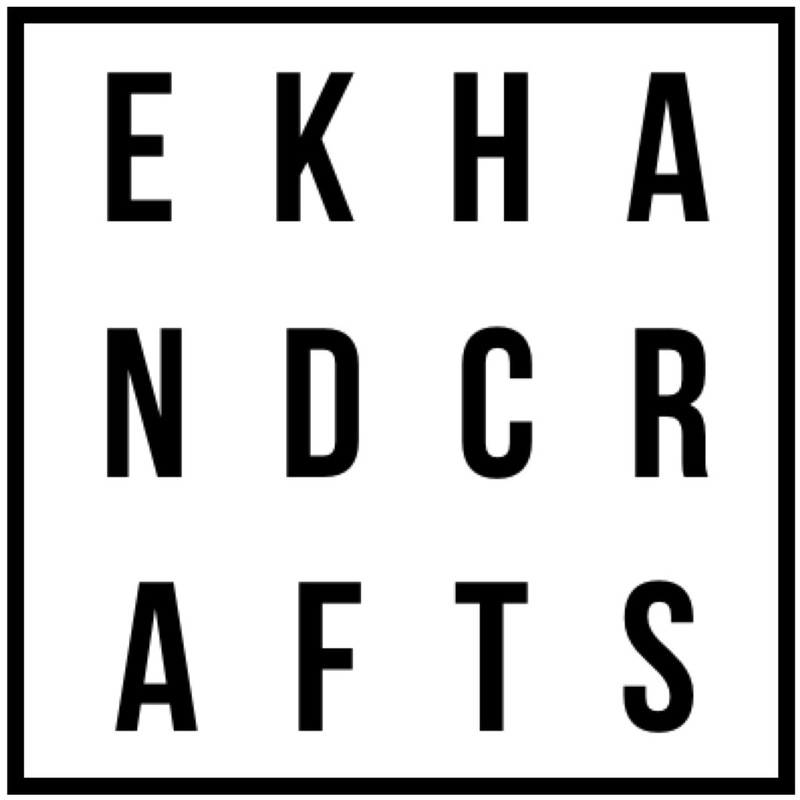 Be sure to add me on Instagram and Facebook @EKhandcrafts for updates, special promotions and coupon codes.